Rodask are common creatures on Crown Island. They are well suited for mountainous regions, however, they also inhabit plains and grassy fields, feeding on plant life and vegetation. 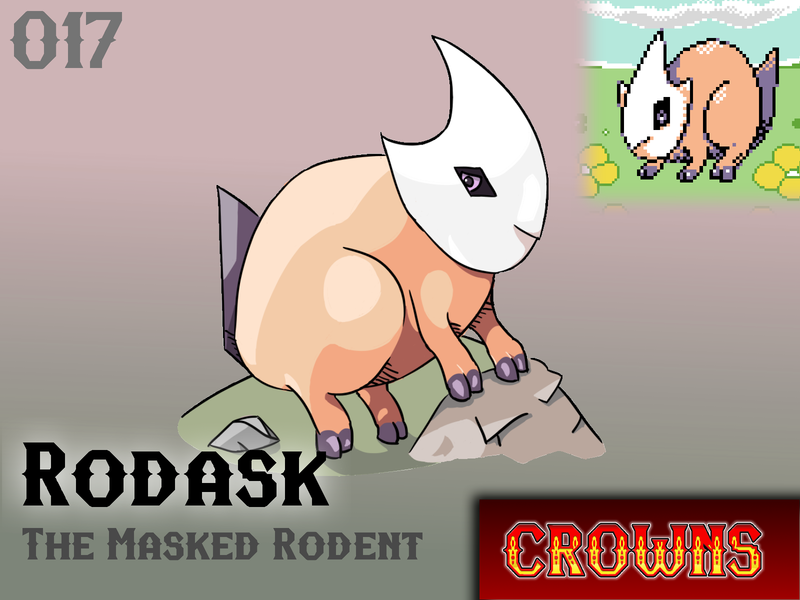 Rodask can be a pest to farmers, however, they can be quite useful to tamers. This monster's genetic code is very dynamic - making it a fantastic choice for breeding. Its varied forms and interesting coloration making it a favorite among aspiring Monster breeders that are looking to make a completely unique beast. Fossilized bones have been discovered that are quite similar in form to several of Rodask's variations - lending credence to the theory that monster variations are a result of long-forgotten genetic switches and the remnants of evolutionary ancestors. Will Rodask make your team?